Born in Basel, Switzerland Musical training under Prof. Paul Szabó, Basel and under Prof. Stanislav Apolin, Praha. Further studies with Zara Nelsova, Pierre Fournier, Sandor Végh and with the Janáček Quartet. 1976 Markus Nyikos won the Swiss Soloist‘s Prize ,1977 double prize-winner at the Gaspar Cassadó Competition in Florence (Italy). He also was the recipient of several fellowships and chamber music prizes. From 1974 to 1979 Nyikos was principal cellist of the well known Lucerne Festival Strings. 1972 – 1979 he was assistent of Prof. Stanislav Apolín at the Lucerne Music Academy. 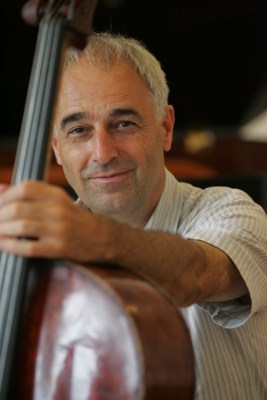 Since 1979 Nyikos has held a professorship for a cello masterclass at the University of the Arts in Berlin (Germany). His cello class has an excellent reputation, and his students come from all continents to be trained by him. He was guest professor in various cities in Europe and Asia; since many years he has held important mastercourses in different countries. Markus Nyikos is also a frequently performing soloist and chamber musician all over the world. For many years he was principal cellist of the „Philharmonische Virtuosen Berlin“, member of the famous “Twelve Cellists“ and different other chamber groups of the great „Berlin Philharmonic Orchestra“. Actually, he is member of the „Gililov-Quartett Berlin“ (piano quartet) . For more then 40 years, Markus Nyikos has played with the czech pianiste Jaroslav Smýkal . The repertoire of this duo contains about 150 compositions from all musical epochs. Nyikos has made more then a dozen CD recordings as soloist and as chamber musician. He toured in Japan, China, Taiwan, India, South Korea, Vietnam, Australia, New Zealand as well as Central- and Latin America, USA, Canada, and of course in almost all European musical centres. Studied at the K.Lipiński Music Academy in Wrcław under prof. Zdzisław Butom in 1989. While studying she perfected her skills taiking an active part in interpretation masterclasses and workshops under the guidance of such extrordinary cellist as Siegfried Palma, Ivan Monighetti, Andrzej Orkisz, Roman Suchecki, Marina Czajkowska and Bogumiła Reszke. 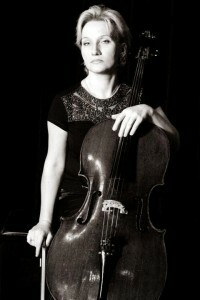 From 1987, while she has been a student, she started a work at the State Musical secondary school of Karol Szymanowski in Wrocław as a cellist teacher, till 1996. After graduating in 1989, she accepted a job offer from her alma mater at the K.Lipiński Music Academy in Wrocław, where she became an assistant in the cello class, and futher in 1994 qualified as an adjunct with 1st level qualifications. In 2001 she gained the 2nd level qualifications and in December of 2014 she received the title of the Professor of Music Arts. From 2012 she is performing the deanship of the Instrumental Department, and she is currently work her second term. Prof. Urszula Marciniec-Mazur, while continuing teaching activity, she perform a numerous concert tours. Chamber music is her major specialization in the artistic activity. In 1987-2001 she performed with the Wrocław Chamber Orchestra Lepoldium, Opole Philharmonics, Wrocław Chamber Orchestra Wratislavia, and Menuhin Festival Orchestra. As the soloist of the Wrocław Chamber Orchestra Lepoldium, she cooperate with such great artists as Yehudi Menuhin, Jerzy Maksymiuk, Ewa Podleś, Konstanty Andrzej Kulka, Vadim Brodski, Jan Stanieda, Krzysztof Jabłoński. Urszula Marciniec-Mazur is a constant member of the juries in national and international competitions and hearings. Moreover she is leading master classes and methodological workshops in cello playing and chamber music both in the country and abroad. In 2011 she was honoured Golden Cross of Merit by the President of The Republic of Poland. And in 2013 she received a medal Committee of the National Education. Rimantas Armonas graduated from the Lithuanian Academy of Music, where he studied under Prof. S. Sondeckien, in 1975. He moved to the Moscow P. Tchaikovsky Conservatoire, to learn at the postgraduate level in Prof. V. Feigin’s class. In 1980 he won the first prize at the “International Cellists Competition in Minsk” (Belarus). Rimantas Armonas has been teaching at the Lithuanian Academy of Music since 1978. In 2000 he bacame the Chair of the String Department at the Kaunas Faculty of the Academy, and in 2003 became Professor. In 1986-88 he lectured at the National Institut of Music in Algeria (L’Institut National de Musique d’Algérie). He performed in Germany, The Netherlands, Finland, Japan, Spain, France, Austria, Hungary, Singapore, Sweden, Algieria, and in the Commonwealth of Independent States. He participated in prestigious competitions of classical and modern music, in Lithuania and abroad, as well as the Third International Cello Congress in Kobe (Japan). He played with the Belorussian and Lithuanian National Orchestras, Belorussian Radio and Television Orchestra, the Klaipėda Orchestra, and chamber orchestras: Lithuanian, Kaunas, and St. Cristopher’s, under the direction of S. Sondeckis, M. Dvarionaite, D. Katkus, J. Domarkas, M. Pitrenas (Lithuania); P. Berman (Spain); O. Grangean (France); N. Engelbrecht and E. Leonov (Belorus); B. Raisky (Russia). He is a member of the “Armonas Trio”, the “Armonas-Uss Duo” and the cello quartet “Cellerando”. Rimantas Armonas led cello masterclasses and interpretation seminars in Finland (1991-92), Belarus (1994, 2003, 2004), Latvia (1996, Academia Baltica’ 97), the Netherlands (2001), Germany (2003, 2006), and Sweden (2004, 2006). He was a jury member at several international competitions. In his repertoire, alongside classical music, are works by contemporary composers of various nationalities, many of which saw their premiere performances in Lithuania thanks to Armonas. He is an active performer of the new Lithuanian music, and prepared over 20 world premieres of works by contemporary Lithuanian composers. He made multiple recordings for the Lithuanian and international radio stations, as well as recorded CDs in several countries. From 2018, prof. Rimantas Armonas is the head of the Department of Chamber Music at the Lithuanian Academy of Music and Theater. This year he received the prestigious Award of Culture and Art of the Government of the Republic of Lithuania. 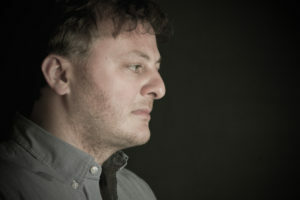 Adam Klocek studied at the Musikhochschule in Cologne and the Hochschule für Musik Hanns Eisler Berlin, working with Maria Kliegel and Boris Pergamenschikow. He won the 1st prize at the D. Danczowski Competition in Poznań in 1992. The following years brought successes at numerous international cello competitions: in Cologne, Munich, New York, and others; as well as prizes and grants, e.g. C.M. von Weber, the Interlochen Center for Arts, the European Broadcasting Union. These led to performances in important music centres. The artist’s concertizing plans included an invitation to take part in the first performance of K. Penderecki’s Concerto Grosso, under the composer’s baton; representing Poland at the Europalia Festival; The opening of the 8th Lutosławski Forum at the National Philharmonic; concert tours in the USA and the Far East. For the premiere performance of the Concerto Grosso with the National Philharmonic under A. Wit, the artist was awarded the Fryderyk 2002 prize. In January 2003 he performed at the gala concert for the inauguration of the Krzysztof Penderecki Year in the National Philharmonic. In September 2004, accompanied by Sinfonia Varsovia, he gave the first performance of the Cello Concerto Krzesimir Dębski composed for him. The BBC described his duo project with Leszek Możdżer as ‘sensational.’ The album they released became a 2005 bestseller, and the artists were the only two to represent the classical music world at the gala birthday concert for TVP Kultura. Adam Klocek held a recording contract with Universal Music. In the years 1999-2016 he played a 1717 Antonio Stradivari instrument. Currently, he plays a 1690 instrument created by Giovanni Battista Rogeri. The artists he performed with include: Shlomo Mintz, Heinrich Schiff, Joshua Bell, Vadim Repin, Misha Maisky, Valery Afanassiev, Krzysztof Penderecki, Dame Evelyn Glennie, Randy Brecker, Boris Pergamenschikow, Jerzy Maksymiuk, Antoni Wit, Sophia Gubaidulina, Freddy Kempf, Sayaka Shoji, Wanda Wiłkomirska, Jadwiga Rappe, Leticia Moreno. The album Preisner’s Voices (SONY Music) he recorded for went triple platinum. September and October 2013 brought two further premiere performances of Z. Preisner’s music, with Adam Klocek appearing in the roles of both conductor and soloist: Four Colours of Łódź and Diaries of Hope (performed with the Britten Sinfonietta and Lisa Gerrard in the London Barbican Hall). Adam Klocek took part as both conductor and cellist in the opening ICE concert in Kraków. The album Night in Calisia released in 2012 received the 2014 Grammy Award, also reaching triple platinum status. Adam Klocek is also the artistic director of international music festivals: the Multimedia Amber Road Festival, Bronislaw Huberman International Violin Festival, and Wszystkie Strony Świata Festival in Puławy. Further, he is the artistic director and the jury member of the J. E. J. Reszke Vocal Competition in Częstochowa. He lectures at the Kraków Music Academy, holding the title of Doctor Habilitatus. As a composer, he authored chamber, symphonic and film music. Tomasz Lisiecki is a cellist who successfully combines in his repertoire works from the Modern, Romantic and Baroque Eras. He performs with multiple ensembles and orchestras, and as a soloist with the Poznań Philharmonic Orchestra, Poznań Opera Orchestra, Zielonogóra Philharmonic Orchestra, the Orchestra of the Poznań Music Academy, and the Capella Viridimontana. In 1999 he graduated with distinction from the I. J. Paderewski Music Academy in Poznań, where he studied under the supervision of Prof. Stanisław Pokorski. After graduation, he continued his education in Warsaw, with Prof. Kazimierz Michalik, while simultaneously accepting a post at the Poznań Music Academy. In 2003 he began a baroque cello course at the Universität der Künste in Berlin, where he studied under Markusa Möllenbeck and Phoebe Carrai. He graduated, graded very good, in 2005. Continuing his education in Baroque music, he developed his knowledge of the repertoire and performance skills at Bach–Händel Akademie master classes in Karlsruhe, with Phoebe Carrai and Jaap Ter Linden. Tomasz Lisiecki combines his artistic and performance work with teaching. His students have won prizes at international and national cello competitions. He is also a member of the juries of national cello and chamber music competitions. In 2006 and 2010 he won the Poznań City President’s Awards for excellence in teaching. 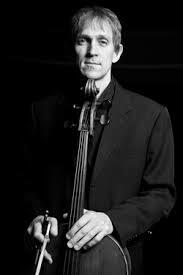 For the last nine years Tomasz Lisiecki has been the main organiser of the Cello Master Classes and the Philipp and Xaver Scharwenka International Chamber Music Competition in Szamotuły. 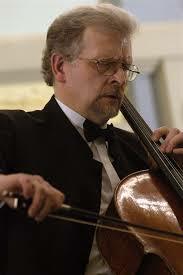 Since 2007, he is the president of the Pro Cello Fundation, supporting young cellists.